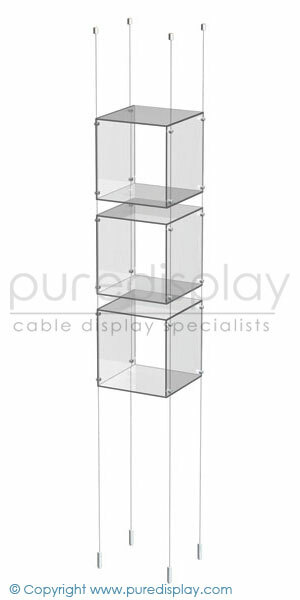 A set of 3 acrylic cubes, suspended by 4 cable kits and held with 24 panel supports. 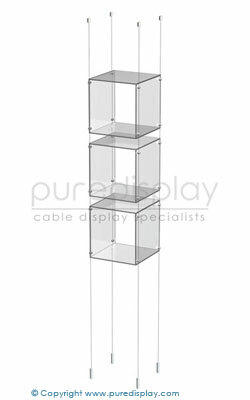 Cubes are 4 sided, with open front and back. Other products you may need or be interested in.